Netflix’s third season of Orange is the New Black debuts on June, 12, 2015 and, as with all of Netflix’s original series, the entire season will be available on that date for those into binge-watching. 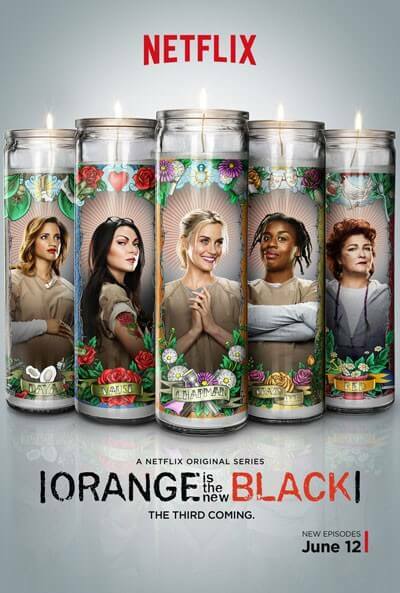 The new poster for the upcoming season has just been released and features Taylor Schilling as Piper, Uzo Aduba as Crazy Eyes, Kate Mulgrew as Red, Dascha Polanco as Dayanara, and Laura Prepon as Alex. The cast of season three also includes Laverne Cox, Natasha Lyonne, Lea DeLaria, Danielle Brooks, Selenis Leyva, Yael Stone, Ruby Rose, and Taryn Manning.